Among the many intractable challenges DMO marketers face, deciding which traveler types to go after is always top-of-mind. One thing is clear though: our industry’s keen interest in the relatively nascent Chinese travel market is well-founded. Not only is the volume of potential visitors from China staggering, Chinese visitors intend to do the one thing that is most desired by destinations–spend a lot of money in market. Our 2018 The State of the International Traveler survey asked likely international travelers to report what they would expect to spend on a two-week vacation in the U.S. The chart at the bottom of this post shows the average amount that travelers from each country say they would expect to spend overall, for shopping and for hotels. Three fun facts about Chinese travelers jump out at us. 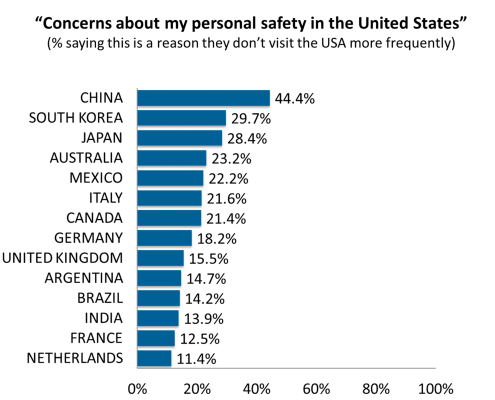 Chinese travelers have, by far, the largest travel budgets. The typical Chinese traveler would budget $6,362 for two weeks in America, or $454 per day, which far surpasses the closest competitor. 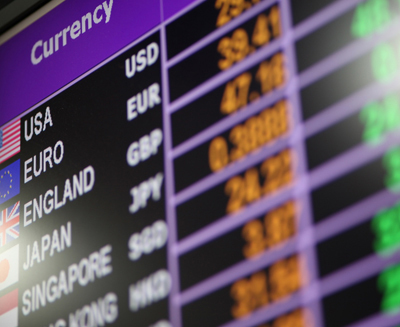 The second biggest spending country was Australia at $5,355 for a two-week trip, or $383 per day. One Chinese traveler’s economic impact equals three Canadians. The sheer difference in terms of expected budget for an American vacation between China and other countries is extraordinary. China’s travel budget gap with other countries is most pronounced when we look at America’s largest contributor of international visitors, Canada. Way outside the norm set by other countries, Chinese travelers would also plan to spend more on shopping than on lodging. The typical Chinese traveler would budget $1,888 for shopping and only $1,271 for lodging in hotels. This won’t be music to the hotel revenue manager’s ears, as that represents a meager $91.78 per day. 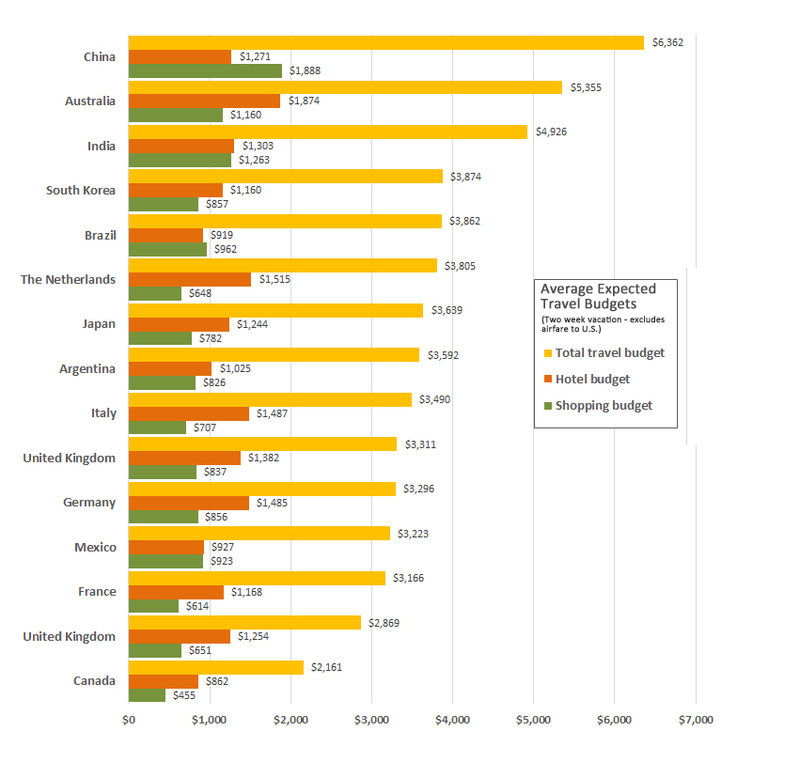 Chinese travelers’ budget for shopping is almost as large as the entire trip budget of Canadian visitors. It is more than double that of most other countries studied. When it comes to retail spending around a destination, nobody compares. Source: The State of the International Traveler, 2018, Destination Analysts, Inc. A survey of over 800 likely international leisure travelers in each of 14 of America’s biggest feeder markets. America may be the most high-profile of countries. What happens here can quickly find its way into the news around the world. Of course, no news travels more quickly than bad news, and America has recently had no shortage of such content. Mass shootings, wildfires, landslides, violent protests, hurricanes (and even now a volcanic eruption in Hawaii) have all punctuated the news cycle this year. Does the American proclivity to deliver sensational headlines keep international travelers away? It seems so, at least to a degree. One in five likely international travelers in America’s top feeder markets say personal safety concerns have kept them from visiting more. The last few years have seen a substantial increase in overall global travel volume alongside a downward trend in unaided interest in visiting the United States. The latter trend has been measured in our annual international tracking study The State of the International Traveler. In 2017, we saw a -2.9% decrease in the overall number of international travelers writing in “The United States” in an open-ended question asking about destinations that they most wanted to visit in the coming year. 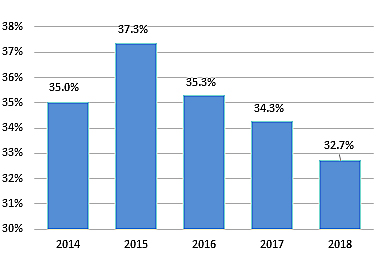 Our most recent 2018 wave of the study showed an additional -4.7% drop in that figure. 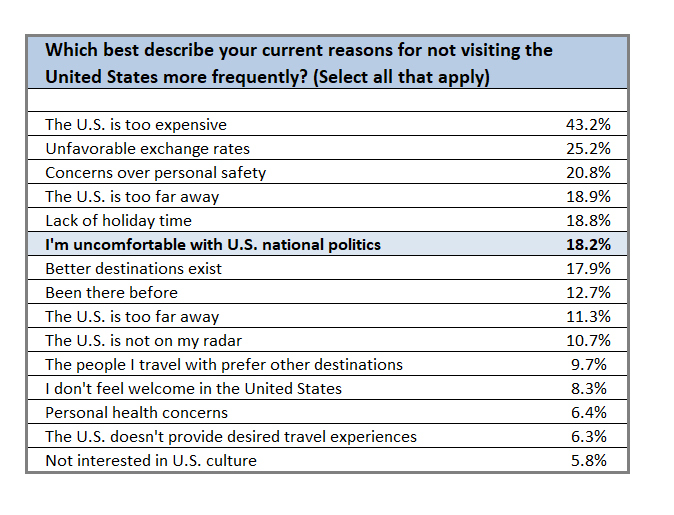 This consistent downward trend in unaided interest in visiting the United States strongly suggests that international travelers are choosing other destinations over the United States when they travel. 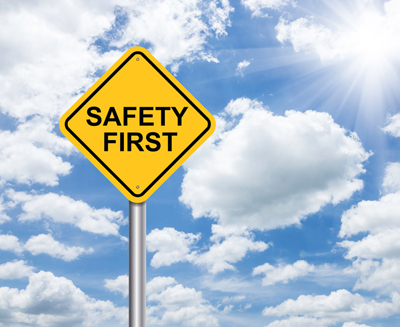 Personal safety is a serious concern of many travelers. One-in-five (20.8%) travelers around the world say safety concerns have kept them from visiting the U.S. Interestingly, when we look at the responses by country, we see that the Asian countries of China, South Korea and Japan are the most likely to report personal safety concerns while traveling in the United States. Nearly half of Chinese travelers reported this concern, a disturbing result. Safety is also a major consideration when travelers are deciding which specific U.S. destinations to visit. Information about safety was rated overall as the fourth-most important type of information to U.S. destination decisions, following only hotels/lodging, restaurants/food and national parks. Information about safety outranks information about shopping, iconic and historical attractions, entertainment/events and transportation, to name just a few. 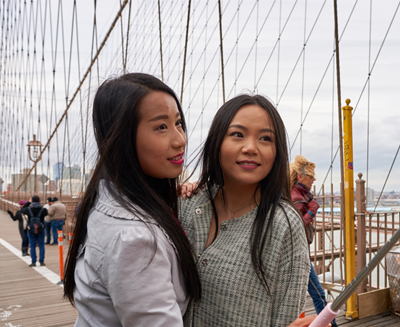 Travelers from China, Japan and South Korea were also the most likely to say that online video content would be influential in their travel planning and most importantly in the destination decision. This suggests that there is an opportunity, especially for destinations who are focused on moving the needle on visitation from countries like China, to create more online video content about how safe and welcoming it is here in the United States. Some destinations are already capitalizing on this opportunity. Take the “Everyone is Welcome” video campaign from Discover LA. The Los Angeles Tourism & Convention Board reported a substantial increase in visitation from China last year, setting them apart from the downward trend in visitor interest currently seen by the nation as a whole. You can read more about it here. Marketing Insight: Online video content featuring welcoming, safe communities is a win on two counts: it addresses a top-of-mind travel concern, and delivers the message in a popular, preferred channel. 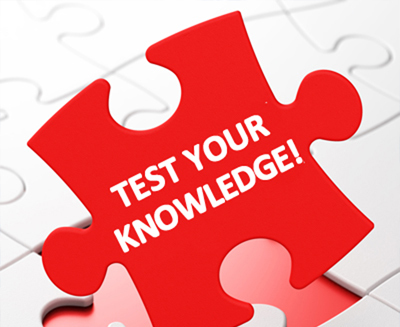 How Well Do You Know International Travelers?